Hi Tutti fans! 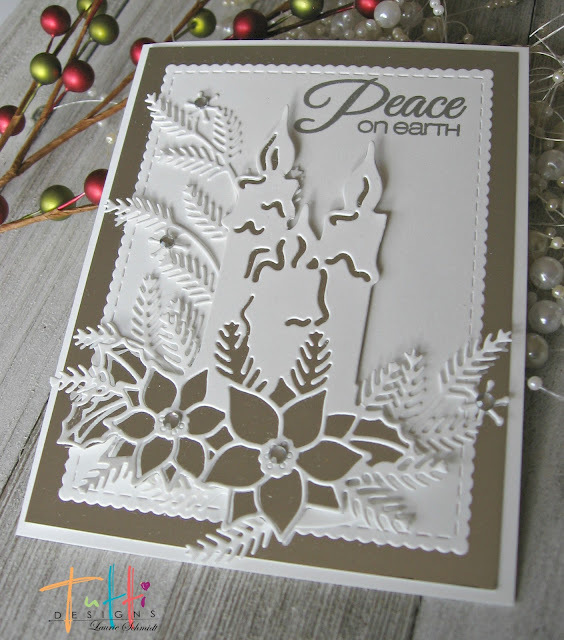 Laurie here with an elegant silver and white Christmas card to share today. I started out by making the background for my card. 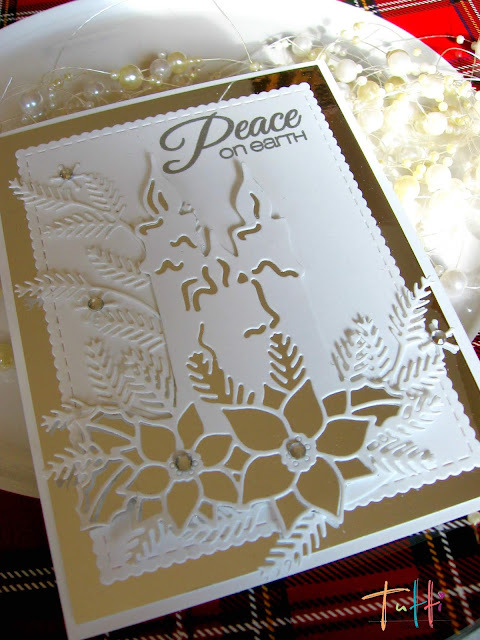 First I cut out some silver foil, and then a Scalloped Stitched Rectangle in white. traced the candle on silver foil and adhered it to the back. So elegant, Laurie! I love the silver matting and how you used the fir branch. Ummmm, not the same die you linked to, but certainly gorgeous! I bought the Arched Fir Branch this year. LOVE how you've used it! Thanks Leslie... I fixed the link! 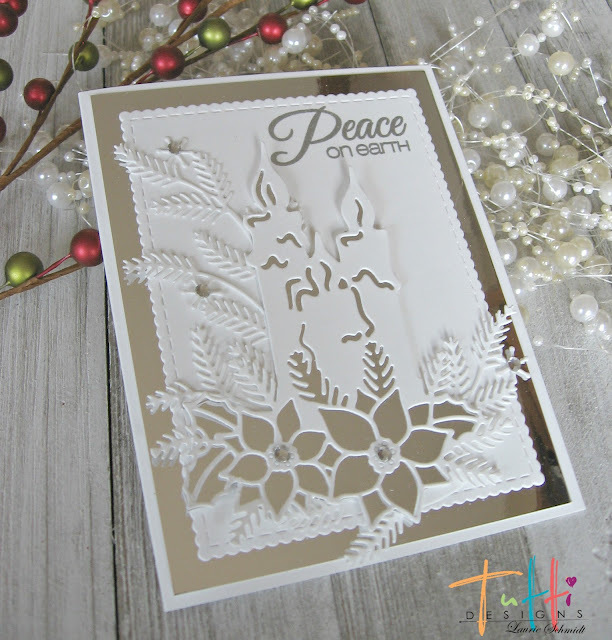 Gorgeous, love the dies, and the white/craft color..perfect!